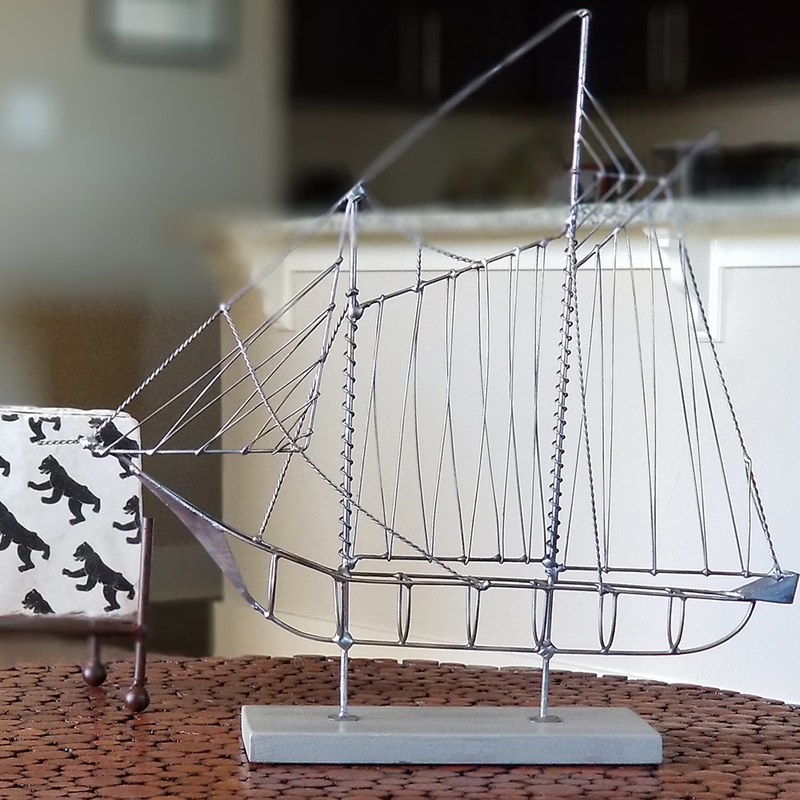 From the twisted wrought iron wire representing the rope of a sailboat to the folded wire representing the sails, this piece really is awe inspiring. 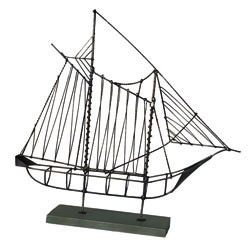 The details of this sailboat don't stop at just the metal work; even the distressed silver color, with a hint of copper, imitates life at sea. 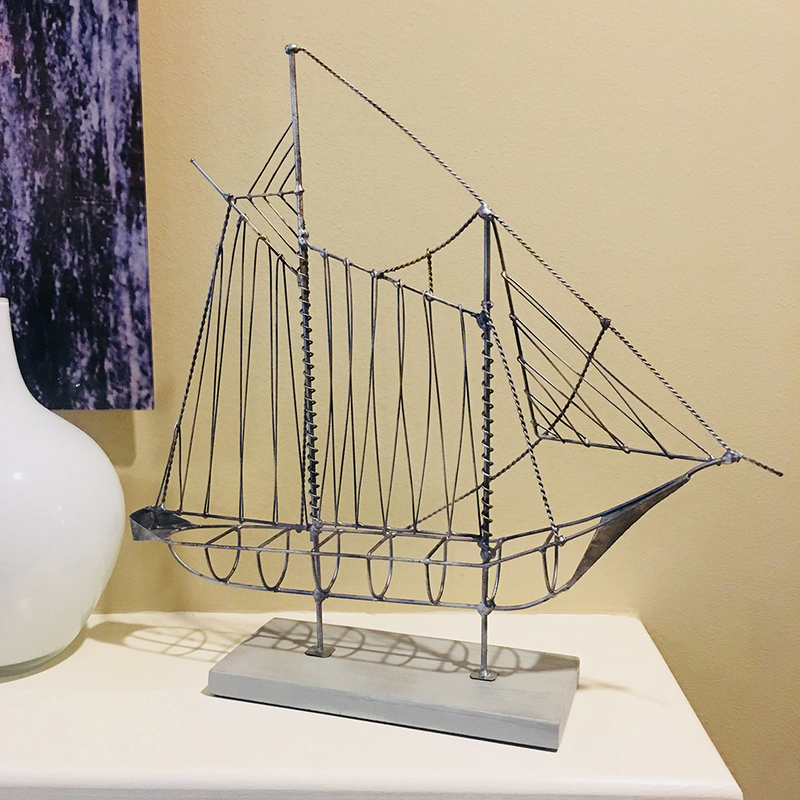 This sailboat will make a statement in any living room, bedroom, dining room, or office, no matter if it is by itself or accompanied with other nautical themed decor. 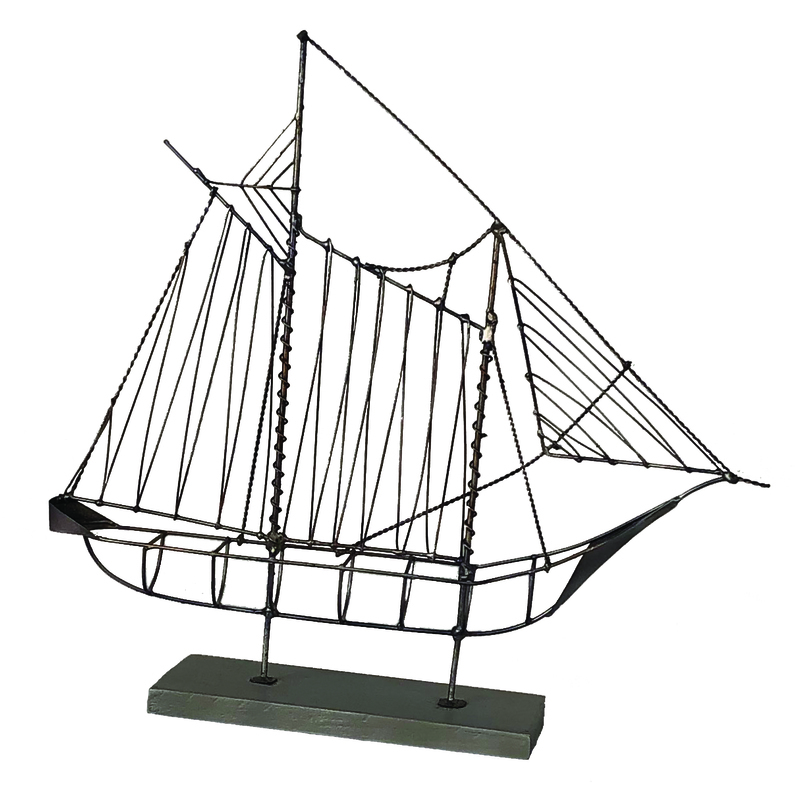 The sailboat is constructed by hand using several different gauges of wrought iron wire. There are nearly 120 strands spot welded together to give the depth and dimensionality to this piece. It is then painted by hand and finally set to rest on a wood composite stand, which is finished with a gray stain.